For those of us who live in the northern part of the country we take our first signs of spring very seriously. Especially after a long, cold winter like the one we’ve just endured. Apparently the plover, or what we refer to as the sandpiper, traveled 4,000 miles from its home in the southern hemisphere back to the grasslands of Wisconsin to find proper nesting grounds. Bird migration is a fascinating thing. Just how do birds know when to leave their winter homes and head to another part of the world? According to the CornellLab of Orthinology, birds migrate from areas where there are decreasing resources (food and nesting locations) to areas of increasing resources. Our migrating birds leave Wisconsin in October and November to find more abundant sources of food in the south and head back north in the spring to nest. I’m new to birding. My good friend Kay introduced me to a truly fascinating sight a couple of years ago: the annual bird migration along the Mississippi River Valley in November. We saw hundreds of thousands of white pelicans, swans, ducks of all kinds and bird species I had never heard of traveling south for the winter. The air above the water shimmered as huge flocks birds crossed above and below each other. I’ve never seen anything like it. Fast forward to this past week. We’ve been celebrating Migrating Bird Week here in Sauk Prairie. It was a week dedicated to birding. The thing about bird watching is the best time to see birds is just around sunrise. I live out in the country where it’s nice and quiet, except at sunrise. The birds are my natural alarm clock. Even on those days I’d rather sleep in. Kay and I tried a little sunrise birding this week along the river. 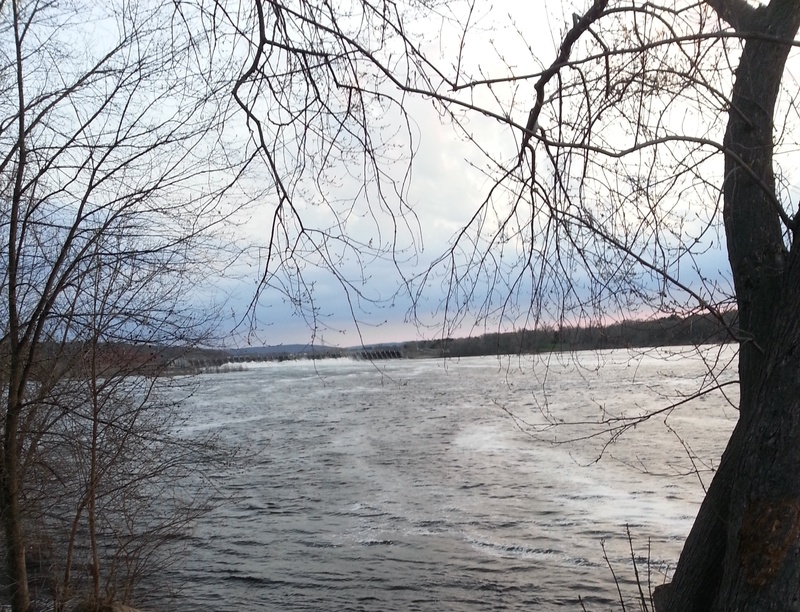 It was a windy morning with a definite chill in the air. We really weren’t too successful. The water fowl had pretty much already passed through our area. The warblers and other birds we were hoping to see were pretty much hunkered down out of the wind. A beautiful sunrise made the outing worthwhile. We were more successful on Saturday. 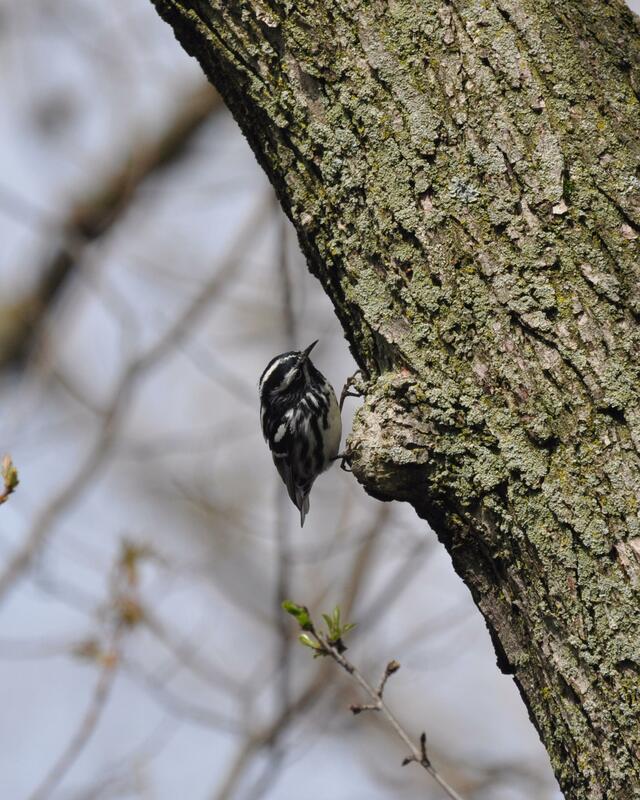 In fact the entire Bird City Sauk Prairie team of birders saw 95 different bird species Birders in August Dertleth Park spotted a Blawk and White warbler. These birds creep along a tree like a nuthatch or woodpecker. 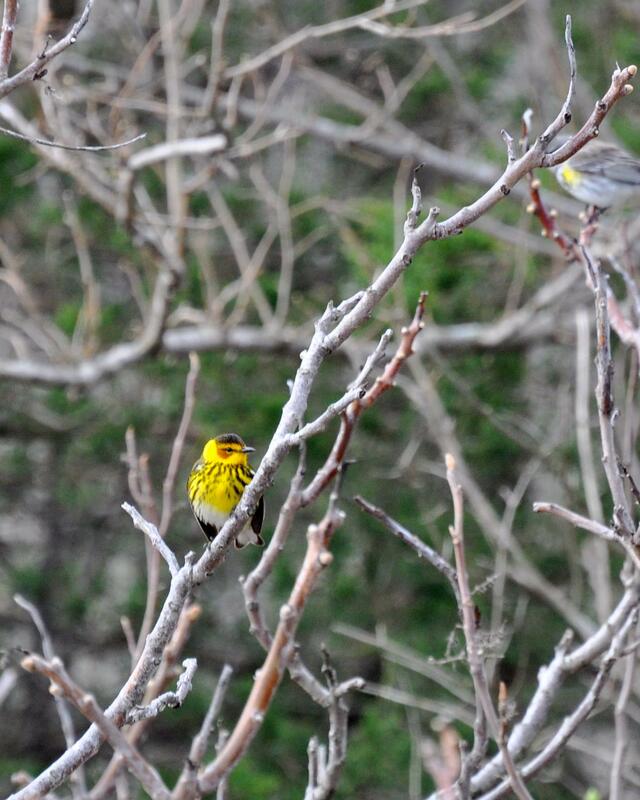 They also spotted this Cape May Warbler. It may have come all the way from the West Indies. This is a great time to birdwatch. The warblers are in full migration. You don’t need a lot of expensive equipment, although a good pair of binoculars can set you back a bit. What you do need is patience. As Kay and I stood in her backyard, waiting and watching for birds to come to the feeders, I spotted a red-bellied woodpecker high in a tree. And after that, I saw a couple of Baltimore Orioles. A final proof of spring.